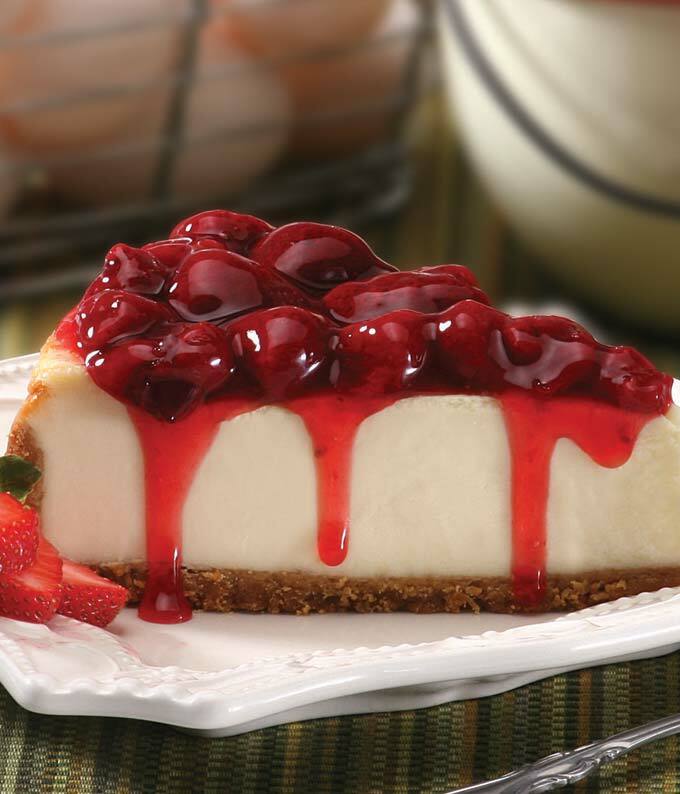 If you think "New York" when you think "cheesecake," you'll love David's Cookies 10" Strawberry Cheesecake. The rich, subtle tang of cream cheese melded with a graham cracker crust and topped with sweet strawberries will make your mouth sing for more! 14 ample servings ensure there's plenty for you (and your family or guests)! All cookies, Brownies and cakes are baked the same day they are shipped. Therefore orders placed for delivery Tuesday must be baked on Monday and shipped overnight.